In order to take his professional career to the next level, Arsenal’s fledgling winger Aaron Eyoma – according to a report published by West London Sport – is supposedly having a trial with Championship club Queens Park Rangers, after competing for the Shepherd’s Bush-based outfit’s development squad against Colchester United, a friendly encounter which the Hoops won 3-2. A product of the Gunners’ youth ranks, Eyoma is yet to make his bow for the for the first-team having only featured four times for the club’s U23 string, and with opportunities to showcase his abilities becoming scarcer by the day, a January jump to Loftus Road seems to be on the cards. The adaptable midfielder, who has also deputised at full-back, spent the 2016-17 season on loan at Dutch Eerste Divisie side FC Volendam but only managed to net one goal in eight appearances for their respective U21 compliment. It’s yet to be disclosed to whether QPR will actually offer the 20-year-old a permanent contract at the club – ultimately his fate rests on his performances for the club during the scheduled friendly meetings, although as Arsenal are allegedly willing to allow him to trial elsewhere, he presumably has one or two more auditions left to make his mark. Eyoma certainly isn’t the only youngster set for departure from the Emirates this month, however. It’s said that the north-Londoners are keen to loan out the likes of Chuba Akpom, Julio Pleguezuelo and Marcus McGuane to ensure that they also get a true taste of first-team football, as competitive football week in, week out, will only aid their development. 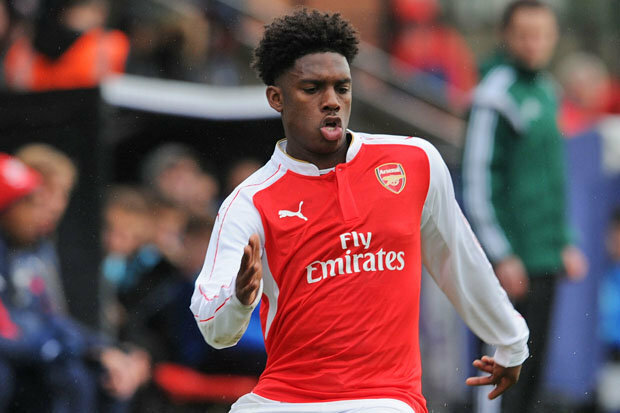 Share the post "Arsenal winger close to signing deal at London club"